As Halloween approaches, many find themselves pondering the many things that scare them the most. Whether it be ghosts, zombies, or monsters, we all have horrors that are exposed around this time of year, and small business owners are no exception. Fear and anxiety run through the minds of business owners throughout the year, not just in October, and things have only amplified with the increased demands of online marketing. From troubled websites, to a nonexistent Google presence, these are the four worst nightmares for small business owners online. There aren’t many things that are as unsettling as a sloppy website. Like Frankenstein’s monster, a disfigured and horrifying website is sure to scare any visitors away. With only 0.05 seconds to visually impress your audience, a business just can’t run the risk of having their services represented by a hideous website (unless it’s your business’ goal to scare everyone away). Selecting the proper color palette, incorporating a balanced layout and making a website as user friendly as possible will make visitors want to stay on the page and learn more about your services. Hideous websites will scare visitors away, limiting the amount of time that is spent learning about your business. If a website already looks good, there are still many aspects that can hurt its value. One of the most damaging is not being mobile-ready. A website that is only optimized for desktop searches is not going to impress visitors that are using their mobile devices. Considering mobile devices account for a majority of internet usage (comScore), websites that aren’t mobile-ready will not look appealing for most visitors. Failure to be mobile-ready also destroys a business’ Google search ranking, which opens a whole new can of worms. Not being visible might be right up the alley of a ghost or the Invisible Man, but that is a major fear for all business owners. Google accounts for about 89% of the world’s market share of search engine use (Statista), making it a significant platform for businesses to be discovered. If Dave from Wisconsin needs a hotel on the spot, you can bet he’s heading straight for Google to find one in his area. But you can also bet that he isn’t going to search much further than the first two pages of results. Dave will wind up calling the Bates Motel, who he found on the first page of results. This is unfortunate for Phillips’ Motel, who were on the 15th page of Dave’s search. Sure, Phillips’ Motel was there, but like a ghost, Dave just couldn’t see them. Business owners often lose sleep because of this recurring dream (or should I say, nightmare). In their dream, they’re enjoying a normal day at the office when, out of nowhere, they get an email. Fredrick Kruger, a former patient, has left them a negative review on Yelp. This is the fourth bad review in a month and their overall rating is down to a horrifying 2.5 stars! Online reputation has become an integral part of any business’ online presence. It’s the digital equivalence of word-of-mouth and represents the experiences of others with that business. In fact, 86% of online buying decisions were attributed to negative reviews (Dimensional Research). Negative ratings are even more impactful to businesses that don’t have a lot of reviews. If Elm Street Dermatology Center has just three reviews, Fredrick’s 1-star rating will account for a quarter of their average rating (which is not a good thing). The next person to search for dermatologists in that area likely will compare the online reputations of all related businesses in the area before they make up their mind. Truthful or not, all negative reviews hurt your business’ reputation. To make things worse, a negative review doesn’t even have to be legitimate. A competitor or the friends/family of a disgruntled former customer could leave a nasty review. Surely, this alone is enough to keep a business owner up at night. Considering that 968 Million daily active users worldwide were recorded in Q2 2015 on Facebook Statista), most businesses are smart enough to be where their audience is. Having an active Facebook business page gives owners added website traffic, increased brand awareness, and increased trustworthiness. But many owners make the grave mistake of not putting forth the necessary effort on Facebook, resulting in a curse that is hard to break without professional assistance. Lack of content posting, failure to respond to comments and inbox messages, not being aware of duplicate listings, and losing track of login information are just some of the daggers that contribute to a business’ Facebook misery. This curse prevents a business from fully taking advantage of the increased brand-awareness, social interactions with new and old clients, and positive brand perception that comes with having a functioning Facebook account. Thankfully, all of these ailments are fixable, as companies like NEXT! 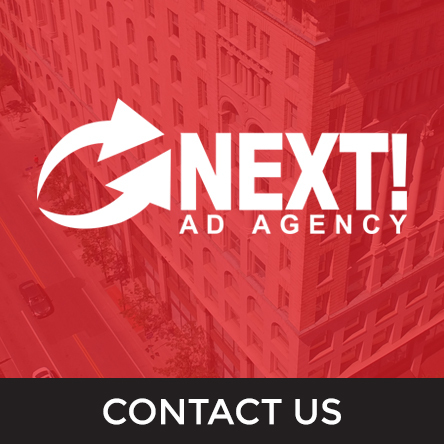 Ad Agency provide services that will not only alleviate online troubles for businesses, they will return peace-of-mind to business owners, allowing them to sleep easy without fear.